JULY 12, 2017: Anti-choking device inventor claimed the president of Turkey relies on his invention -- but the product's Turkish distributor says that's "completely lies and fictions...we condemn this ugly news"
The Secret Service is an elite body, part of the Treasury Department, formed in 1865 and which for 100 years has as its main mission to protect the President, his family and dignitaries visiting the United States. Its motto is "Prepare for the worst, hope for the best." 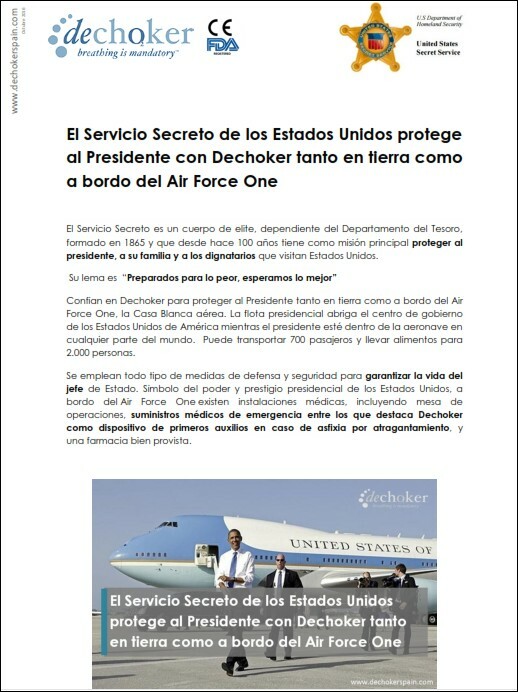 They rely on Dechoker to protect the President both on land and aboard the Air Force One, the White House jet. The presidential fleet is the center of government of the United States of America while the president is inside the aircraft in any part of the world. It can carry 700 passengers and carry food to 2,000 people. All types of defense and security measures are used to guarantee the life of the head of state. Representing the presidential power and prestige of the United States, there are medical facilities on board Air Force One, including an operating table, emergency medical supplies including Dechoker as a first aid device in case of suffocation by choking, and a well stocked pharmacy. 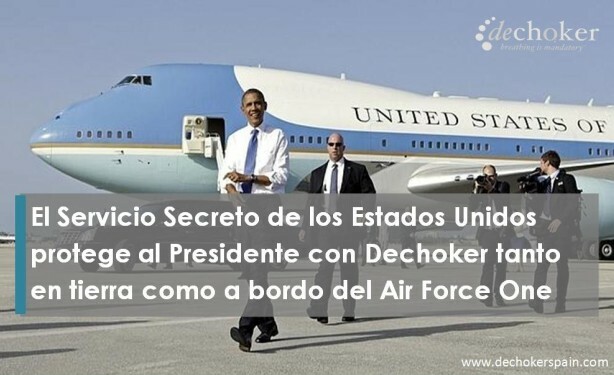 The Secret Service of the United States protects the President with Dechoker both on land and aboard Air Force One. Today I asked the Secret Service and the White House for more information. I also asked if private companies may use the Secret Service logo on promotional materials and if photos of the President and Air Force One may be used for hyping products. 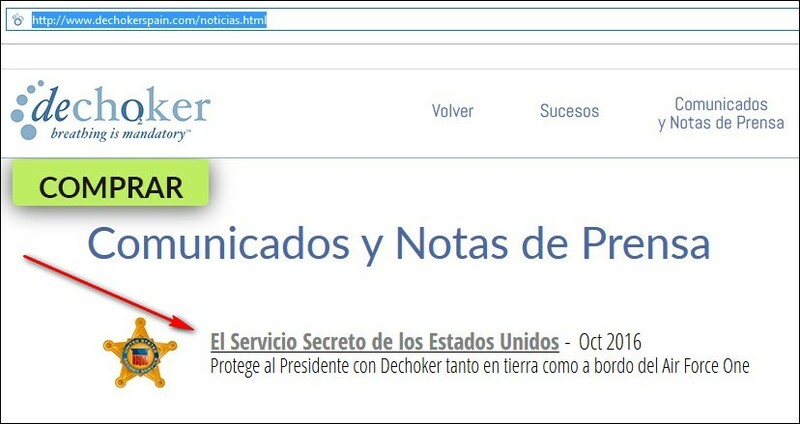 Finally, if the claims are on Dechoker's U.S. website, I couldn't find them. 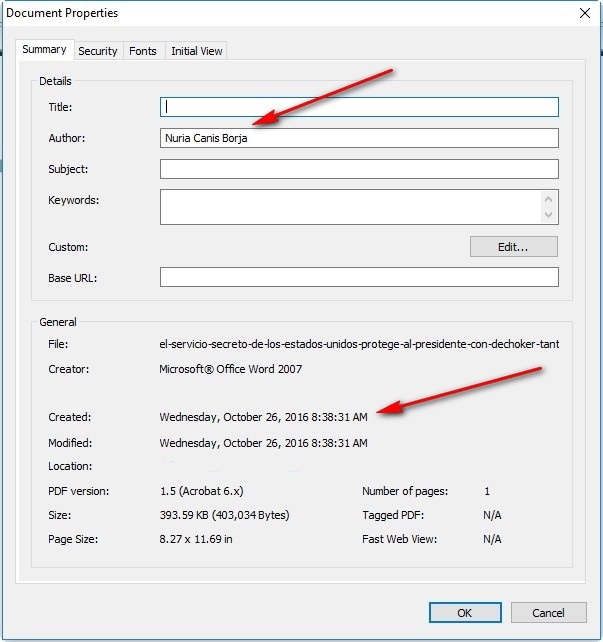 Via the file properties of the pdf, this woman appears to be the author of the document, so presumably she can provide more information.